The year 2012 is nearing its end and if you’re the fashion conscious type of person, you may want to know now what colors are in style this last quarter period. 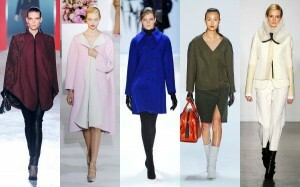 From the bright colors of summer and spring, it’s time to tone down on hues this fall and winter. The Pantone Color Institute (PCI) which surveyed the designs of the New York Fashion Week said the trend caters to the practical side of consumers. It’s all about mixing the neutrals with bold colors, stressed PCI executive director Leatrice Eiseman. The yellow-green hue known as bright chartreuse is one of fall’s top colors which makes for a great accent to every color in the palette. Tangerine is still very much in fashion and can be combined with pink flambe. This mix can be used to create a retro style, if you will. The crispness of fall is in the air and temperatures are cooling. Away go the shorts and tees. It’s time for something more substantial and the best trends for the season are layers and anything yellow. In Fashion: Milk the New Black? A decades old milk-based fiber is making a big ecological comeback in a fashion line being created by a German designer. QMilch is a silk-like fiber produced from large concentrations of Casein – a milk protein. According to the Reuters news agency, QMilch has been used as a fabric since the 1930s, but was always comprised of a high level of chemicals which compromised its commercial value. Have you turned the TV on lately? If you are a regular TV viewer, then you are probably have seen the plethora of cooking shows and celebrity chef-focused shows. Whether you like it or not – and there is nothing wrong in liking it! – this trend is here, and it is also shaping the way we live to a certain degree. The good thing is that we pay more attention to what we do in the kitchen and somehow, cooking becomes even more enjoyable! And, of course, looking like your favorite celebrity chef while you cook is even better. Playing in the kitchen, as I like to call it, does not require much effort most of the time. However, it does help to have certain tools at our disposal. That’s where recipe portals and web sites come into the picture. And speaking of recipe web sites, there is a new player in the game which holds a lot of promise: Recipe Finder. Recipe Finder is a recipe search engine which combines practically everything that you can find online. In spite of the fact that there are many other recipe sites that you can visit (thanks to celebrity chefs, these sites have cropped up everywhere like mushrooms after rain), you will like Recipe Finder for the one big advantage it offers: the aggregation of recipes that can be found in many other portals. In short, Recipe Finder saves you the time and the hassle of having to check each individual site. Searching for recipes on Recipe Finder is easy. Just like any other search engine, you simply need to enter words related to what you are searching for. For example, if you know the recipe name, you simply have to enter it in the search bar. If you only have the ingredients in mind, then you can use those as search terms as well. Even better, if you have allergic reactions to certain ingredients, you can choose to exclude them. Also, you can conduct more specialized searches by specifying details such as the number of calories, the number of servings, and so on. Are you in need of some organization help? Recipe Finder is the perfect tool for this purpose! Take advantage of the menu and calendar features. With the menu creator, you can plan each dish for an entire meal. With the calendar, you can plan what you will be cooking in advance. Also, if you like the paper experience more, there is the option of printing out recipes with one click. Now, viewing the recipes is even easier than searching and organizing! You can choose between the text mode or the image mode. Using text mode, you immediately get to see more information about the recipe – ingredients, etc. Using image mode, you get a clear picture of what the dish looks like once cooked. Look good even as you work in the kitchen. Make technology work for you as you prepare delicious and nutritious meals for the family. Check out Recipe Finder now! Gadgets used to be something to help us in our everyday lives – and they were anything but stylish back then, as anyone who’s had one of the first mobile phones can tell you. Nowadays though, with technology having evolved to the point where we can easily cram a huge deal of computing power in a small space, gadget developers have started to explore the aesthetic possibilities in their designs. Apple are easily the most iconic brand in this regard, as all of their designs are considered nothing short of genius when it comes to pleasing the eye – and this is a trend that’s easily noticeable in their upcoming iPhone 5. Even though we don’t have any official shots of the device yet, there have been a few leaks already which are a pretty good indication of what it’s going to offer – and it’s shaping up to be a lovely complement to any stylish person’s accessory list. Featuring a slimmed down design and improved glass on the screen with a shiny, glossy appearance, the iPhone 5 is what pretty much anyone would expect from a new release by Apple – something worth buying for its sheer appearance alone. And with the iPhone plans Vodafone are going to offer when it comes out, it’s also going to be a very convenient solution for those who don’t like having to spend a great deal of cash on their data plans. There are even rumors that the software has received some additions to minimize and optimize its data usage, which should make things even smoother – we don’t know about you, but we can’t wait to show off a shiny new iPhone 5 to our friends!